Excalibur dehydrators are preferred by most raw foodists. When I got interested in the raw food lifestyle and the benefits of a raw food diet, I realized that many unusual raw food recipes utilized an dehydrator. A dehydrator is the raw food equivalent to the conventional cook's stove, conventional oven and microwave oven. The single dehydrator replaces not one, but all three major appliances so it can be an important appliance for anyone wanting to eat a lot of raw foods. 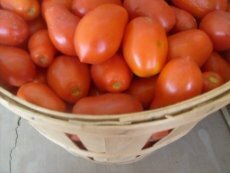 Before my interest in raw foods, all I knew about dehydrators was the circular ones that were sold in chain stores for very inexpensive prices. I had some experience with them and was not impressed at all. So I began searching for the best food dehydrator and soon found myself drawn to an Excalibur food dehydrator. The Excalibur dehydrator seemed to be the most popular food dehydrator for its efficient operating system. Raw Chefs Promote Them- Perhaps the most compelling reason that I chose the Excalibur brand dehydrator is because so many of the big names in raw foods use and promote Excalibur dehydrators. 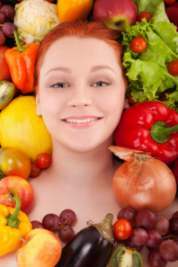 Raw food proponents and chefs like Victoras Kulvinskas, Gabriel Cousins M.D. and Victoria Boutenko are just three of the leaders in the raw food community that promote these dehydrators. Size- The Excalibur comes in several sizes. Depending on what you need, they offer 4, 5 and 9 tray units so you choose the size that can work for you. Inexpensive Operating Costs- According to the folks at Excalibur, the electricity it takes for drying a whole load of food costs about 5 cents per hour. That is pretty cost effective. Removable Trays and Door- Being able to remove the trays is a big deal when you want to have the option to put larger items on the trays. The removable trays and removable door also makes for easy filling and cleaning. Temperature Settings- If you want to dry food and still keep the enzymes alive and kicking, you need to know what temperature your food is being dried at. If you are in the market for a dehydrator... make SURE that it has a temperature setting and go beyond the low high setting, look for actual numbers! Two Step Drying Method – The actual numbers temperature feature is important for this feature of the Excalibur dehydrator. You can significantly shorten the drying time by setting the temperature higher than the normal 115 degrees Fahrenheit just to heat up the inside of the machine. Let it warm at that temperature for only about two hours then turn it back to about 95 degrees until your food is finished. The initial high temperature will just heat up the inside of the machine, not the food so drying time is shorter but you are still keeping the enzymes living and intact. If you are like me and get busy and away from the kitchen, just set your kitchen timer for two hours. Popularity- These dehydrators are popular. Just typing in the words “food dehydrators,” the most common brand name that comes up in the search engine results is, you guessed it, Excalibur. They have been around since the 1970s, so this tells me that they have a pretty good track record or they would not have been in business for so long. 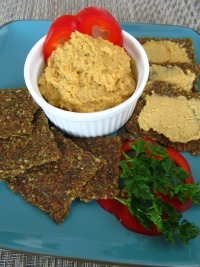 Crackers - Flaxseed and nut crackers are great to make in a dehydrator. Mix up some batter and pour it on tray liners and soon you will have a batch of your own raw crackers. Herbs- Grow your own fresh herbs and dry them in your dehydrator. A side benefit to this is you house will REALLY smell good! Dry flowers too. Homemade Baby Food- Dehydrate your own homemade foods and powder them. Then just add milk and water when you are ready to serve baby. Homemade Bread- Your homemade bread dough will raise nicely in the warm dark interior of a Excalibur dehydrator. Pasta - If you have ever made homemade pastas, the trays and low heat of the dehydrator is perfect for drying your noodles. Seeds & Nuts- Dry your pumpkin, sunflower seeds, walnuts, cashews and pecans easily. Some people love the simplicity of dehydrating foods and so a good dehydrator can be essential appliance in the home. An Excalibur dehydrator is a quality choice if you plan to use it to stock up on foods for your pantry.